Covering a range of topics, from helping understand what tutors and mentors expect, how to plan work, and coping with stress, this title helps to support undergraduates across all aspects of student life. This convenient Handbook will be invaluable to students starting out on a pre-registration nursing course. Covering a broad range of topics, from helping understand what tutors and mentors expect, how to plan work, and coping with stress, it will support undergraduates across all aspects of student life. 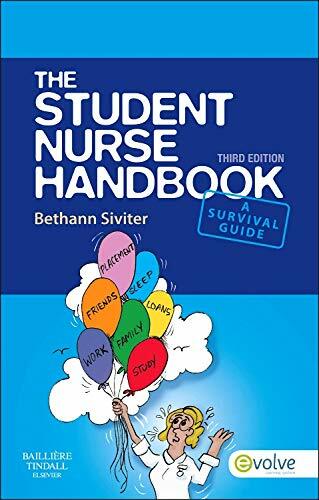 This book will help students to: Write assignments Cope with stress Make the most of clinical placements Reflect on practice Understand nursing models, theories and philosophies Understand medical terminology and nursing jargon Deal with legal and ethical issues.